The Bengals are the only team above .500 in a division that includes two perennial defensive powerhouses, the defending Super Bowl champions…and the Cleveland Browns. The Bengals have made the most of their first two draft picks this season, Tyler Eifert and Giovani Bernard. Both have given an already powerful offense a boost. 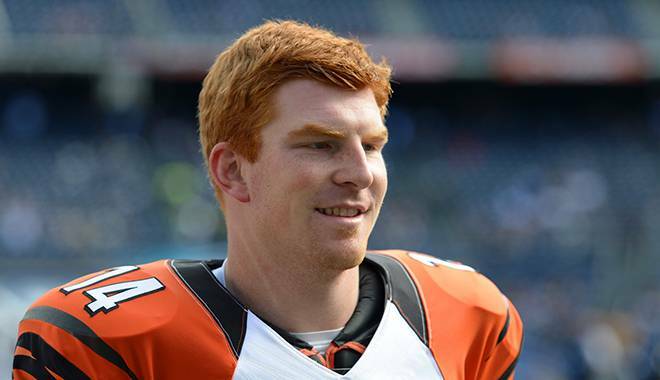 Andy Dalton has thrown for 16 touchdowns, 12 of those to AJ Green and Marvin Jones. Geno Atkins and the NFL’s leading tackler Vontaze Burfict lead the NFL’s fifth ranked defense (of all teams in the AFC North, who guessed the Bengals would have the top ranked defense?) This defense will have to deal with the loss of Rey Maualuga who was injured against the Jets. Currently sitting at 6-2 with a three game lead on the division, despite a tough schedule the Bengals seem poised to run away with this division. 8.5 months ago, the Baltimore Ravens were on top of the football world. And then everything changed. Ray Lewis and Matt Birk retired. Ed Reed, Anquan Boldin, Paul Kruger, Cary Williams, Bernard Pollard and Danell Ellerbe left either by free agency or were released. So far these losses have been hard to overcome. The Ravens are 3-4 and are only 1/2 game ahead of the Browns for second place. Joe Flacco, who signed a big contract extension after his Super Bowl MVP, hasn’t quite played up to the money with eight touchdowns and eight interceptions. Ray Rice is averaging less than three yards per carry and has struggled to stay healthy. Torrey Smith is the clear offensive leader but his teammates haven’t stayed healthy. Jacoby Jones has been injured and missed five games causing the Ravens to turn to rookie receiver Marlon Brown. Terrell Suggs and new addition Elvis Dumervil have combined for 13 sacks to provide most of the defensive highlights. While still possible for the Ravens to make a late season run, it will hardly be easy. Baltimore has a tough schedule going forward including two games against the first place Bengals. The Cleveland Browns are having one of the most bizarre seasons that anyone has ever seen. The Browns were looking for even better seasons from their big second year players Brandon Weeden and Trent Richardson. As it turns out Weeden would start only two games (both losses) before being benched in favor of Brian Hoyer. Hoyer would go 3-0 in his starts before going down for the season with injury. The Browns then went back to Weeden, who would lose two more games before being benched again, this time for Jason Campbell. Richardson also only lasted two games before being traded to the Indianapolis Colts for draft picks. The Browns have actually performed better without last year’s high draft picks, going 3-1 in games not started by Weeden and 3-3 without Richardson. The main bright spots have been Jordan Cameron and Josh Gordon, who have accounted for nine receiving touchdowns. Defensive back Joe Haden has played proven to be one of the best year-in-year-out and rookie Barkevious Mingo has impressed in his rookie year with four sacks in his early career. While Cleveland is not going to threaten for a playoff birth terribly soon, the roots of a good team are in place. The Pittsburgh Steelers are feeling the effects of time. This is hardly the same team that won two Super Bowls in the past decade. Instead, the Steelers sit in last place with a disappointing record of 2-5. Ben Roethlisberger has been inconsistent with eight TDs and seven INTs. The loss of Mike Wallace has had an impact on the offense though Antonio Brown has emerged as an offensive threat this season. The Steelers have also gotten decent play from their rookie running back Le’Veon Bell. Lamarr Woodley leads the team in sacks with five, however the rest of the team has only five total sacks as well. Perennial Pro-Bowler Troy Polamalu is also having a decent season. However, the bad certainly outweighs the good for this team. Many of the games have been close thanks to the defense, but the offense has not had the necessary firepower to win more games. With five tough games still on the schedule, it may be just about time for fans of the Terrible Towel to start looking towards 2014. In the AFC North, look for the Bengals led by Andy Dalton and AJ Green to win the division, while the Ravens will try to fight through a tough schedule to get within striking distance of a Wild Card spot. It’s not an easy road for the defending champs but if anyone can conquer the adversity and make it the postseason, it’s the Ravens.